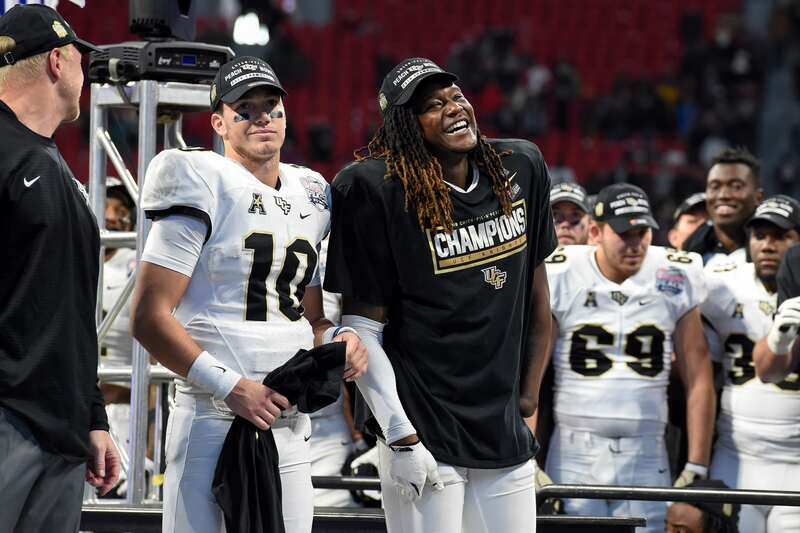 Former Central Florida linebacker Shaquem Griffin has acted as an inspiration to countless people who have been told they can’t do the impossible. That their handicaps will be a detriment to them for the remainder of their lives. Just ask this one girl. Griffin is about to embark on the biggest day of his life. We’re just not sure if it’s going to happen during the NFL Draft on Friday or Saturday. But it’s going to happen. A dominant on-field performer, Griffin plays with just one hand. It really is something to behold. Despite this, he dominated during the NFL Scouting Combine in Indianapolis earlier this year and is seen as a fast riser among draft prospects. Check out this video of Griffin detailing his story and the stories of others with perceived handicaps. We’ll go ahead and promise that it will give you chills. If you need a Kleenex, let us know. As you can see, he continues to act as inspiration for countless young people. It’s a story of perseverance. It’s a story of a drive that few humans can claim to have. Those youngsters in that video are also of the select few amazing personalities Griffin’s story will shed a light on this week in Dallas.